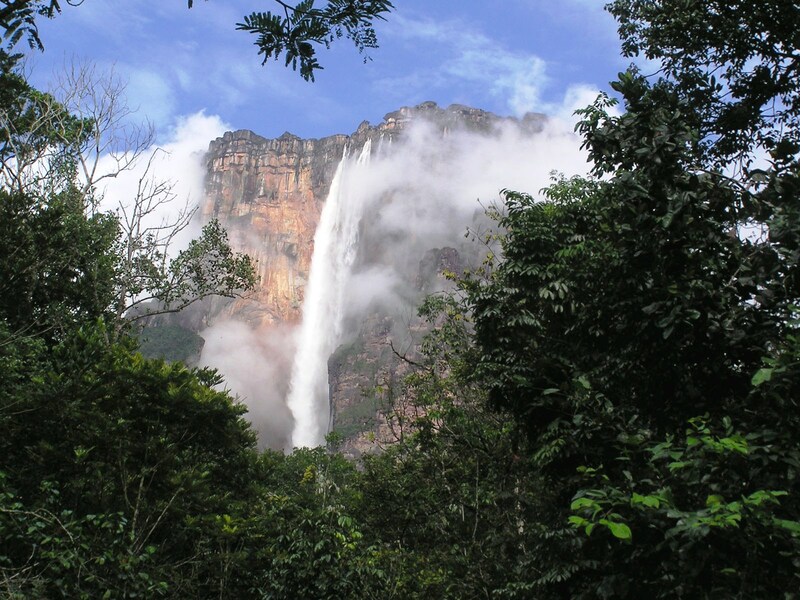 Angel Falls is the world’s highest waterfall at 979 meters (3,212 feet). Because the water falls so far it becomes a fine mist which can be felt a mile away before it reaches the ground below. 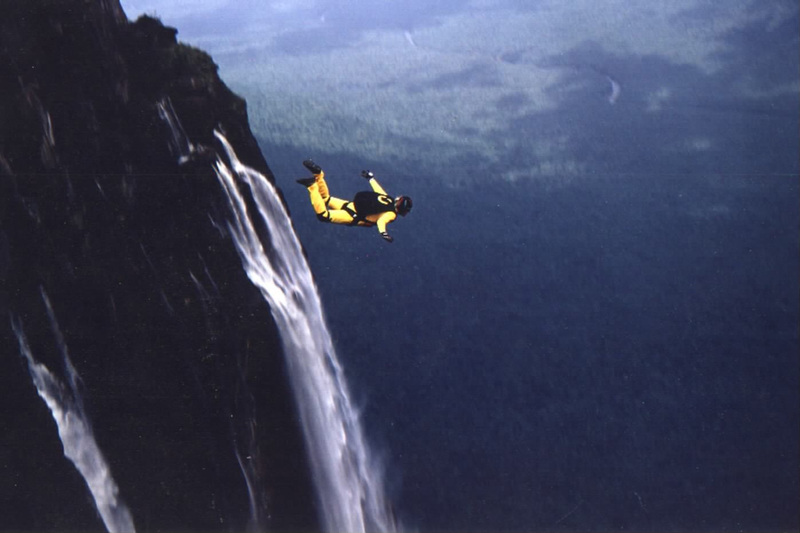 The falls spill from a cliff near the summit of Mount Auyantepui into the Kerep River (also called the Rio Gauya). 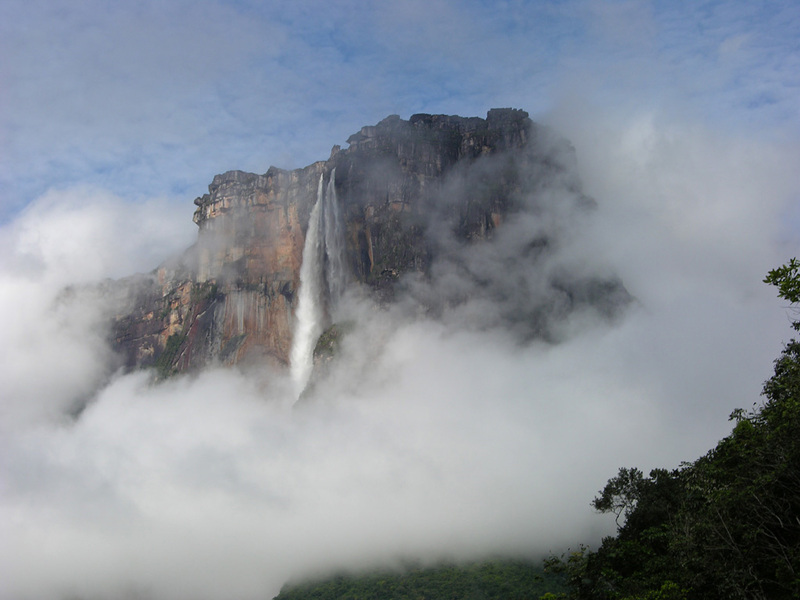 Named after the American aviator Jimmie Angel, Angel Falls is located in the state of Bolívar in Venezuela and is a UNESCO World Heritage Site. The falls is becoming a popular tourist destination, but it is still difficult to visit. 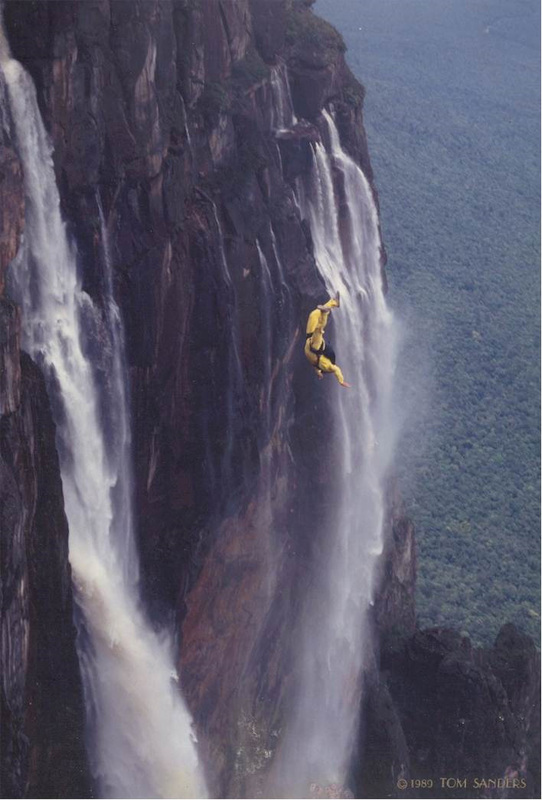 To get to the base of the falls one must fly to Canaima camp and embark on a river trip from there. River trips can be taken only from June to December, as the river to too low in the dryer months. 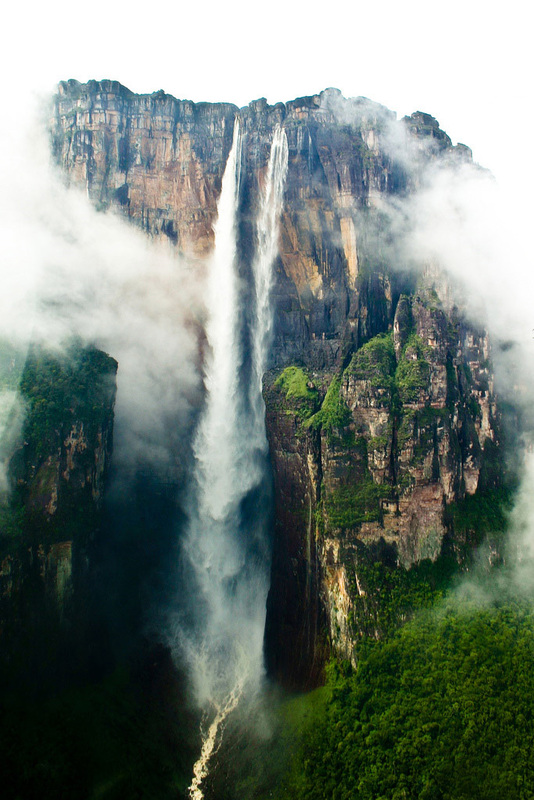 Angel Falls was the inspiration for Paradise Falls in the Disney movie Up. Alternatively, one can book an aerial flyby of the falls, but a view of the falls is not guaranteed as they are usually surrounded by clouds.